Good day, everyone! Originally, this episode of Full Metal Hipster was going to feature an interview with Shawn Pelata who’s the vocalist for Final Sign (Facebook) – a traditional/power metal band from North Carolina. I also had a giveaway planned for two copies of the cassette version of Final Sign’s album Hold High the Flame. Unfortunately, a large portion of the interview’s audio file was messed up to the point of being unlistenable. I’m doing a second interview with Shawn which will be up next week, so, in the mean time, here’s what would have been next week’s episode! 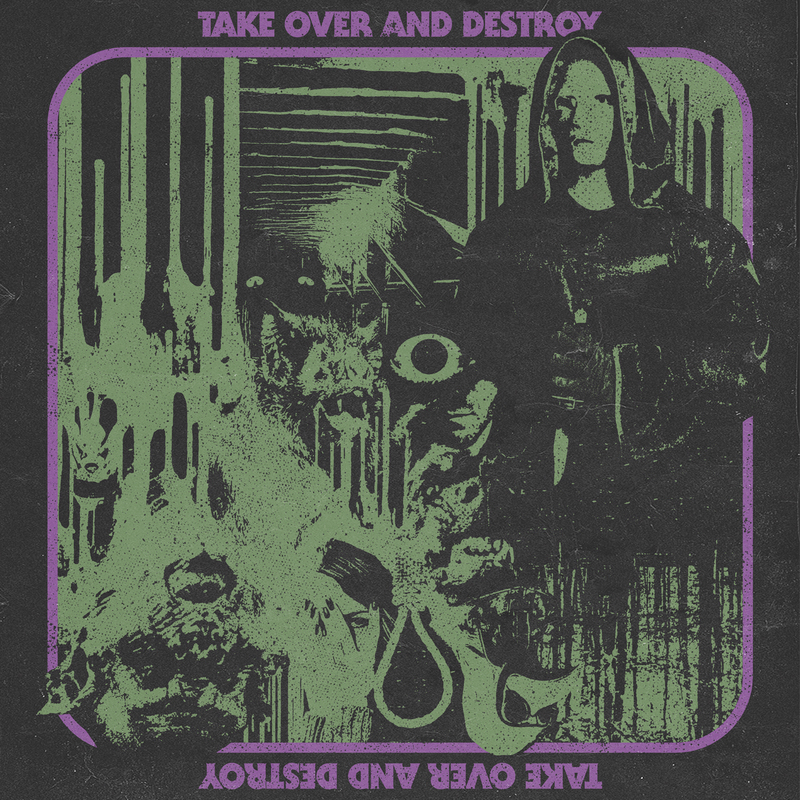 You’re going to hear my interview with Andy and Alex of Arizona’s Take Over and Destroy (Facebook) who just released their third full-length called Take Over and Destroy. The band is influenced by old horror movies and you can hear that all over the new album from Andy’s death rock vocals to the creepy keyboard passages. This is an appropriate album for the Halloween season and I hope you enjoy the interview!